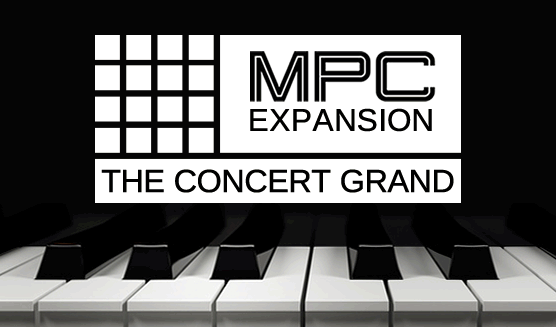 ‘The Concert Grand’ is the latest release in MPC-Samples.com’s next generation of multisampled instrument expansion packs, an absolutely stunning recreation of the majestic Steinway Concert Grand (Model D), packaged with an indispensable collection of MIDI resources and fully optimised for both the MPC Software and legacy MPC models. In addition to the main grand piano program we've also created an 8 additional preset programs for variety of tonal variations ‘out-of-the-box’ and have also included 20 brand new and original MIDI chord progressions to use in Pad Perform Mode that allow you to effortlessly create expressive, professional sounding piano performances using nothing but your MPC pads. Finally we’ve also included 20 melodic themes as drag & drop MIDI Patterns (also provided as individual MIDI sequence files). These consist of editable riffs, melodies and chords that can act as a starting point for a new composition. Finally we’ve even managed to create an even smaller 10MB version for MPC2000/XL owners that uses a single dynamic layer which still sounds awesome - and all legacy MPC owners also get all 20 MIDI themes in both SEQ and MIDI file format. The majestic & expressive Concert Grand from MPC-Samples.com, destined to be the new ‘go-to’ piano for all MPC producers and available until 3rd August at a special introductory price (20% discount), exclusively from MPC-Samples.com.